Nova Scotia Health: Offers individual, couple, and group sessions in the Annapolis Valley area. 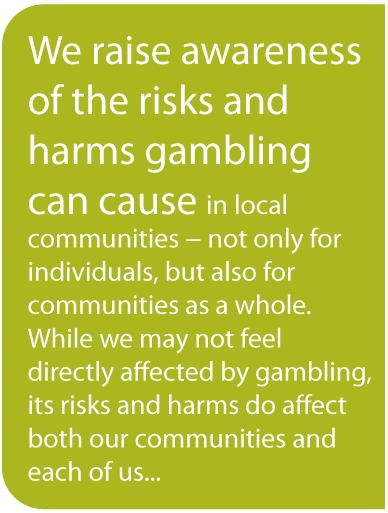 Gambling Awareness Nova Scotia Resource Guide: This comprehensive document lists resources and treatments available across the province, whether you need support, information, services, or treatment. GamTalk: This is an online support for gambling related issues. GamTalk offers online forums in which you can safely share and find support, or read the experiences of others. Nova Scotia 211: Connects individuals with information on accessible resources. Search for programs and services in your area. Problem Gambling Help Line: Operates 24 hours a day, 7 days a week. The Help Line provides immediate support and information.